Purchasing a dump truck is not as easy as just going to the lot and picking the first one you see. 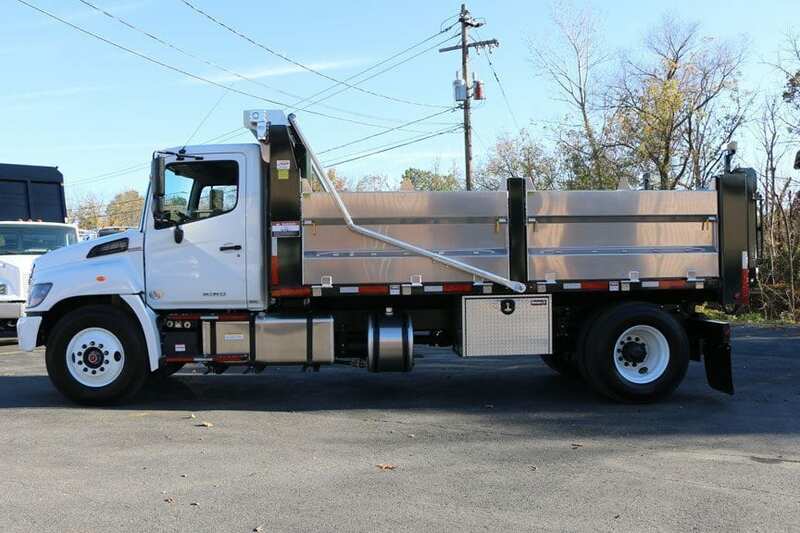 When looking to purchase a dump truck there are several things you need to consider to ensure that the truck you choose will fit your company’s needs. 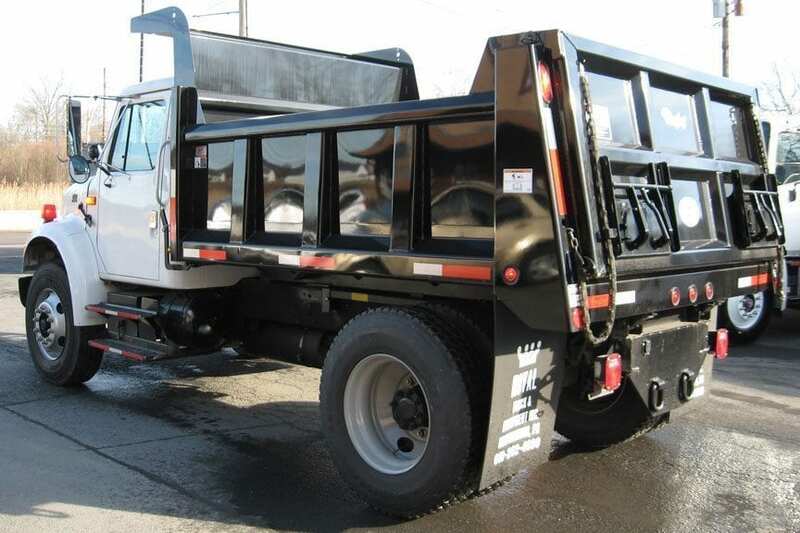 The first thing you need to consider when purchasing a dump truck is the specifications of the truck’s body. Specifically, you will need to understand what carrying capacity your jobs require as well as what material the body should be made out of. You need to consider just how large your operation’s hauls tend to be when purchasing a dump truck. If your operations are large, purchasing too small of a dump truck can be detrimental to your company, as it would require multiple trips to do the job where one could suffice with a bigger dump body. To gauge the size of the dump body, you should measure the length of the body as well as the height of the sides and the back. Carrying capacity is often measured in yards or cubic yards, depending on the size of the truck, and can also be used to determine whether or not the truck’s body can handle your operations. When looking at the dump box, it is generally made out of one of two materials: aluminum or steel. While it may seem insignificant, selecting the right material for the dump box to be made out of can help save your company money in the long run. Aluminum has the benefit of weighing significantly less than steel. Why is this important? Simply put, the less weight dedicated to the body of the truck, the more that can be dedicated to carrying materials in it. DuraMag explains this by saying, ”increased payload translates to significant savings. Just think: fewer trips to deliver the same amount of product for your business, more on-time deliveries with the same fleet and potential for fewer labor hours worked every week.” Additionally, a lighter body translates to reduction in fuel costs. While aluminum may be lighter, a dump box made of steel is much more durable. If you are planning to haul rubble or if your operations require heavy hauls, steel is a much better option for your dump truck’s box. Before purchasing a dump truck, you need to carefully inspect the condition of the frame rails and axles. The first, and more obvious, thing you need to look for is any corrosion. Any signs of wear or corrosion could be problematic to the truck’s effectiveness. Do your work crews need to bring supplies to the job sites? Or do your operations require items to be stored while the operation is on-going? If this is the case, look for a dump truck with one or multiple tool boxes. Why should you need to store tools in the truck’s cab or in the truck’s dump box if you do not need to? Tool boxes come in many sizes, so finding one suitable for your needs does not need to be a challenge. An additional benefit of many tool boxes is that they can be locked. While this may not seem important, theft on job sites is a significant issue. Each year, “job site tool theft accounts for upwards of $1 billion dollars each year.” Whether you have experienced job-site tool theft in the past or not, adding tool boxes to your dump truck are beneficial for security as well as additional storage. Once you have gotten past all the other items on this list, the last thing to consider are additional add-ons to the truck that may uniquely benefit your company. Mesh tarps systems are ideal for hauls with loose debris. In fact, tarps are even legally required on your dump truck in some states. It shall be unlawful to operate on any public highway any open truck or trailer being utilized for the transportation of any loose substances, unless said truck or trailer has a cover, tarpaulin or other device of a type and specification approved by the commissioner of transportation which completely closes in the opening on the said truck or trailer while said truck or trailer shall be so operated, so as to prevent the falling of any such substances therefrom. 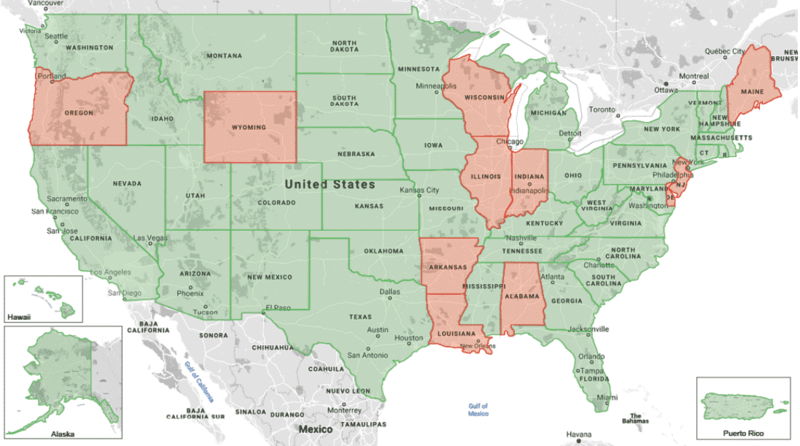 To learn more about your state’s regulations regarding tarping, consult the link above for state-by-state specific requirements. Did you know 48% of construction worker fatalities in recent years have been attributed to runovers and back overs by a vehicle, with a majority of which being dump trucks? While it is not directly related to the build of the dump truck itself, one thing to consider when purchasing a truck is also purchasing a communication headset system. Communication can often be difficult with the noise level in work zones, so having a headset system can be a significantly beneficial addition to any job site. With runovers being such a high cause of worker deaths, especially with dump trucks, effective communication is crucial to keeping your operations as safe as possible. To learn more about communication systems, click the link here to read more! 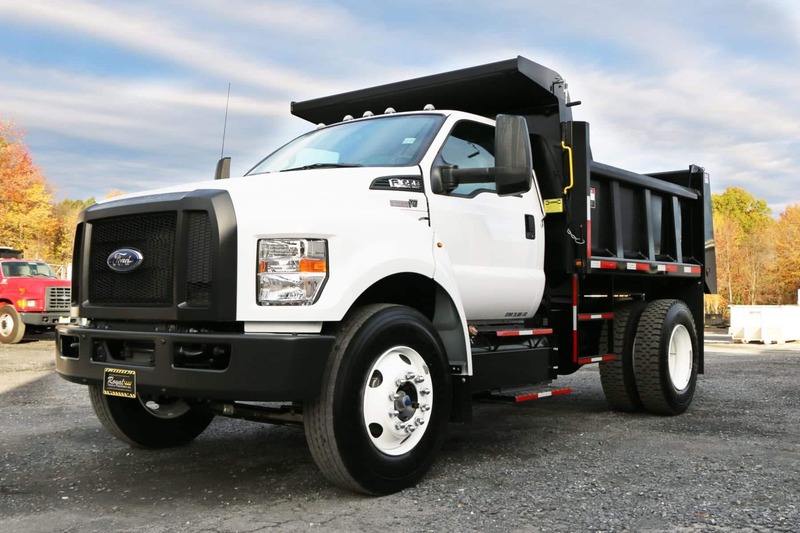 When you are looking to add a dump truck to your fleet, there are many considerations you need to make before deciding which truck is best for you. 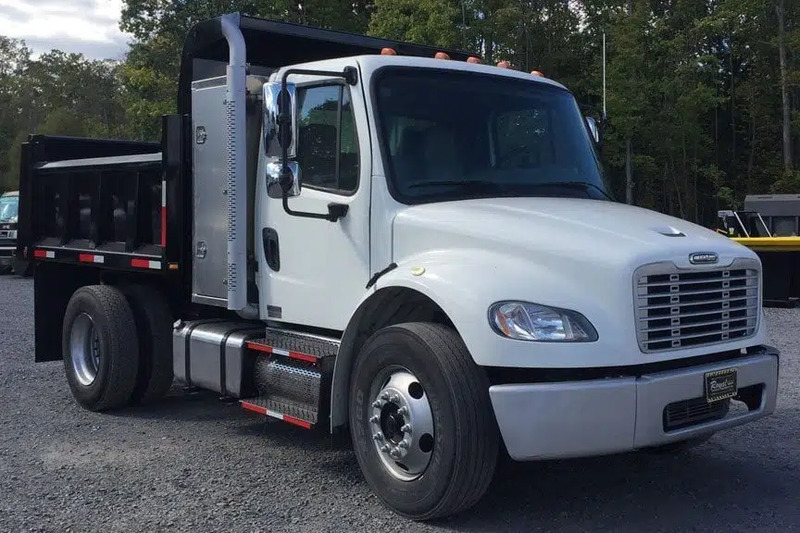 From its carrying capacity to the material the dump box is made out of to other additions, there are several things you need to consider before purchasing your next dump truck. Thanks for going over some things to keep in mind when you want to get a dump truck. I didn’t know that it could be good to consider how large the hauls tend to be. I wonder if there’s a way you can accurately measure these hauls or if you just have to guess. Hi Taylor! You definitely don’t want to be over the truck’s GVWR at any time. The weight of your load is included in that figure. It can be hard to estimate the weight of a load if it varies depending on the job. Mulch weighs a lot less than stone for example. Once you have a good idea of how much material you’ll need to haul and what type, you can better calculate the weight of the load. Then you’ll know what capacity you’ll need in a truck. You bring up some really good points; after all, you need to be thinking about a lot of things when buying a dump truck. I think it is especially helpful that you take the time to point out the capacity as something to look for. After all, if you’re buying a dump truck you’ll want to make sure it is big enough to carry what you need. Your tips can really help someone who wants to start their own trucking business because you explained it really well. These things can be added to their checklist when buying a new dump truck. Hi, thanks for your comment! We are glad this was able to help you and others starting their own trucking business! I agree that it’s best to purchase a bigger dump truck if your operations are large to make sure that you won’t need to deal with multiple trips. My husband and I want to own a construction firm in the future. We want to make sure that it will be easy for us to transport construction materials easily since we might have a storage facility that’s far from the city. Thanks for sharing all your tips on buying a dump truck.